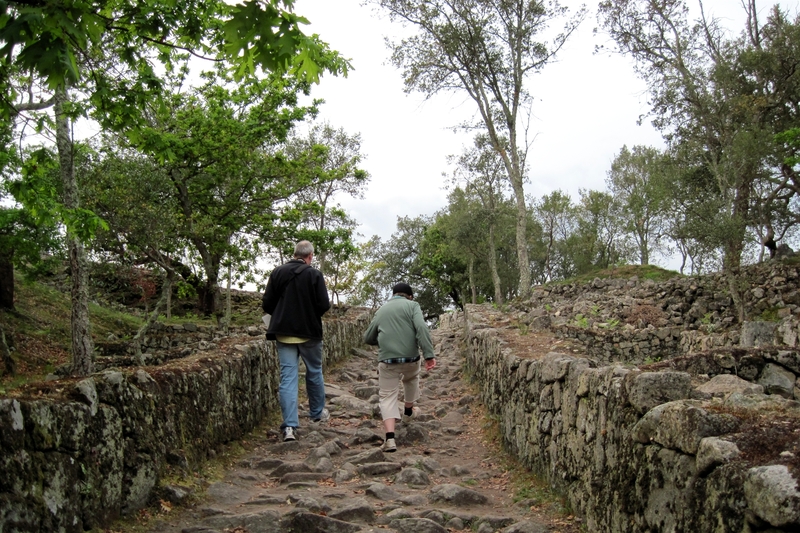 After our adventures in Guimaraes, we drove to Citânia de Briteiros, about 15 km away. This site holds the ruins of a proto-urban Pre-Roman Celtiberian hill fort. (Gotta love that description!) We got there with only 15 minutes left before closing time, and if the nice people told us how to let ourselves out, we will never tell… but thanks to the generous ladies at the front desk, we were able to roam to our heart’s content. 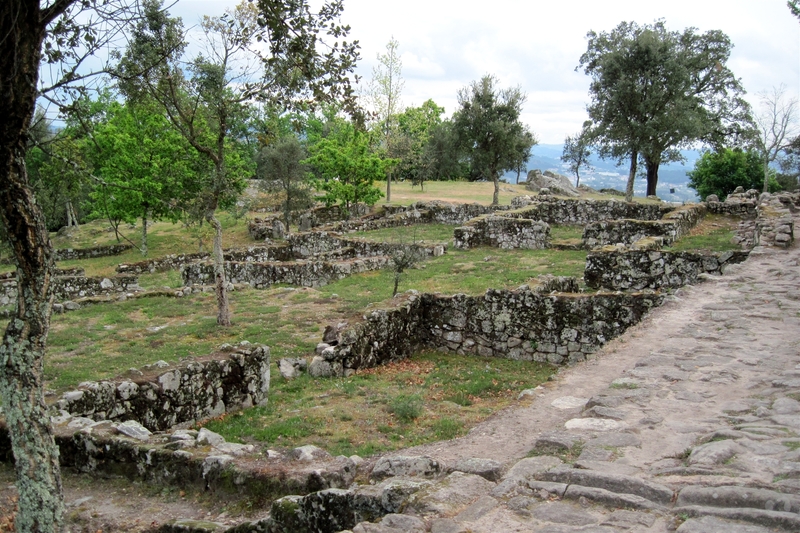 The settlement was originally excavated in the late 1800s by archeologist Francisco Martins Sarmento, who later purchased the entire property and formed a Society to continue his research. Excavations have continued up to the present day. The ruins are amazing. The sheer size is impressive; on the top of the hill are approximately 100 family compounds, each including a number of round structures and a courtyard. 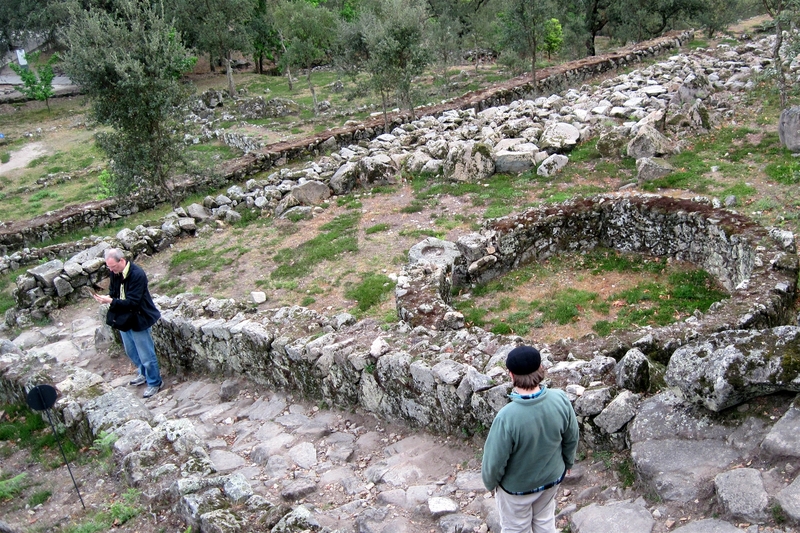 Apparently the site is unusual for its age because of its city-like structure; the compounds are separated by a grid of streets, and there are even conduits to the homes to carry water from a spring on the hill. 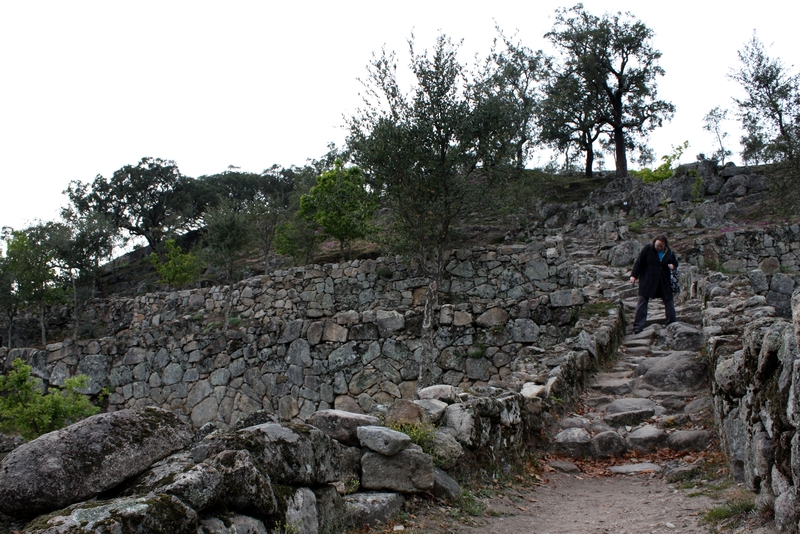 The remains of the settlement walls are up to a meter high. 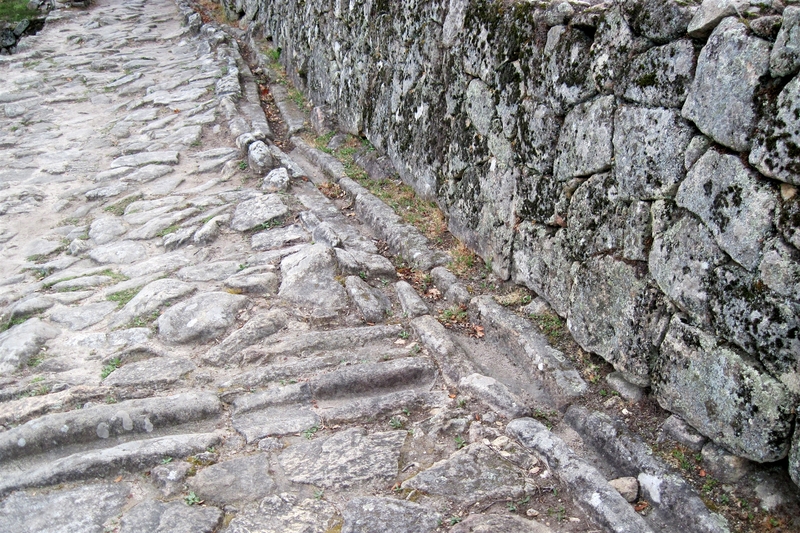 I think this is what impressed us the most; often, when you see ruins, you are only seeing the edges of the foundation. Here, you could hunker down and feel the actual size, if you felt like hunkering. 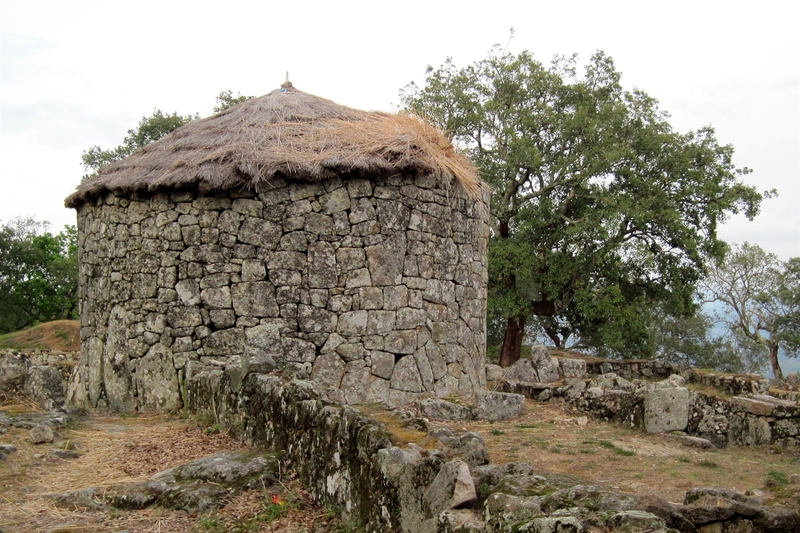 Martins Sarmento reconstructed a pair of huts based on his research, but realized when he finished that he had made them too tall. They left them just as he built them, anyway. The area was taken over by the Romans in the 1st century BC, according to coins found at the site, but besides the coins, very little evidence of the Roman occupation has been found, so they don’t think it was a significant outpost. 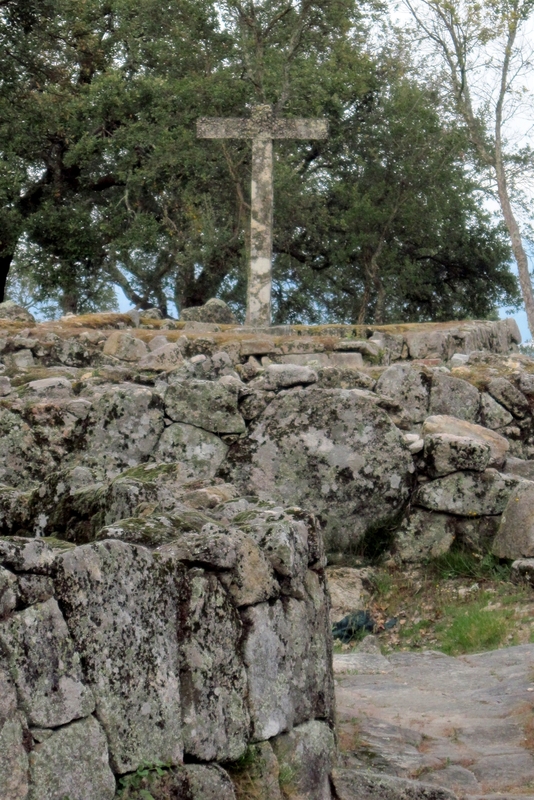 Remains of a church and graveyard show that the area was reoccupied in the Middle Ages. 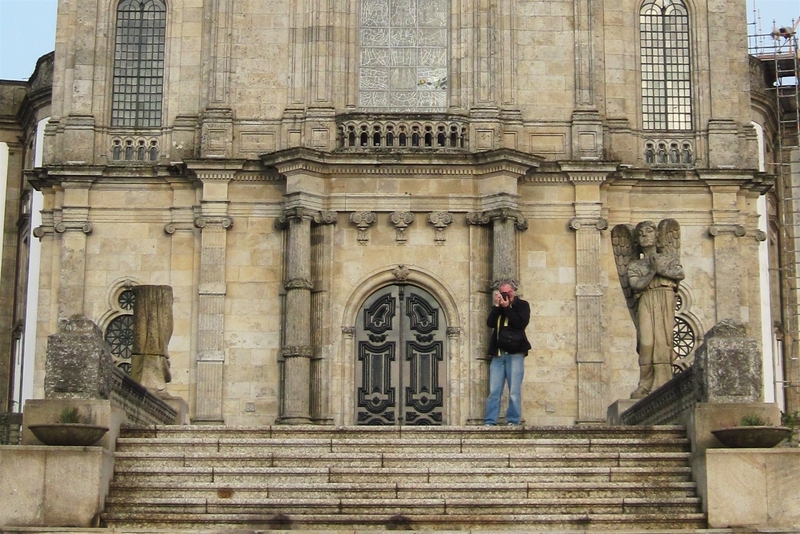 On the way home, we stopped at the basilica which overlooks the city of Braga. Here we indulged in the official tourist pastime of Taking Pictures of Each Other Taking Pictures. The view was stunning, though a bit hazy. We went home to a dinner of bread and cheese, then occupied ourselves as might be expected: I blogged, Q did logic puzzles, and David went out to another Easter procession. All in all, a very good Good Friday. 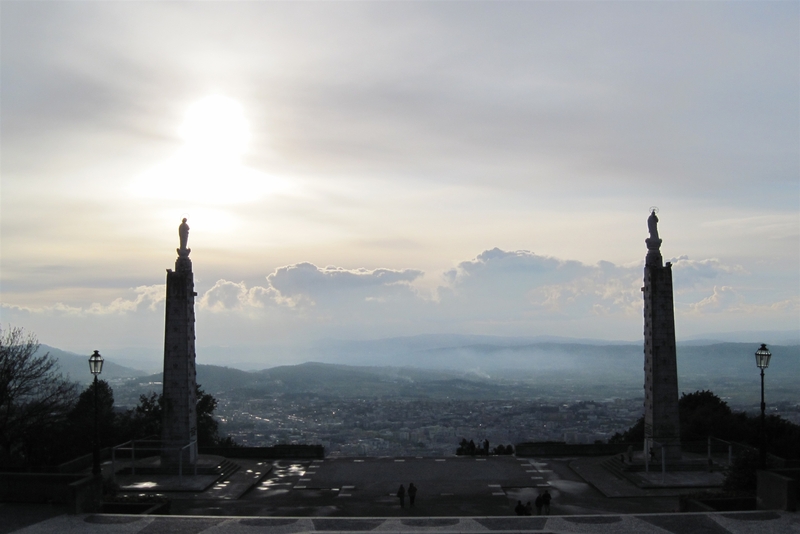 Experiences: European Capital of Culture; Guimaraes town square and castle; Celtiberian hill fort; great view of Braga from above. 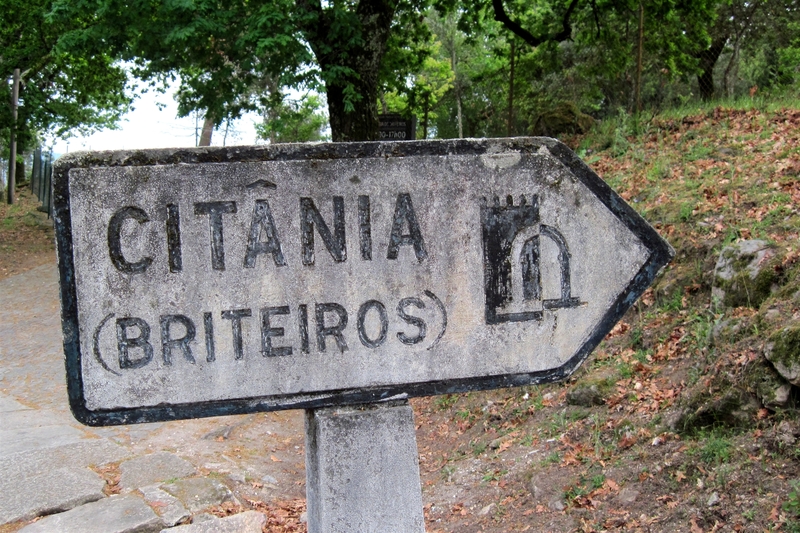 Expenditures: Lunch at bookstore cafe, ice cream, entry into Citânia de Briteiros. Quite a bargain for such an impressive day!